You can engage new clients, or reengage existing clients by offering them a free "Org Health Check". 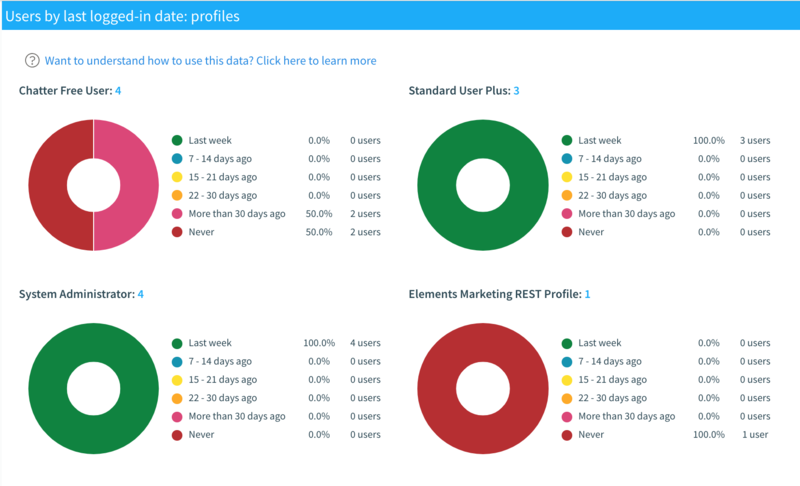 Simply install the Elements managed package into their full Sandbox using the 14 day trial. Why a full Sandbox? You want to have their data for the "field-trip on steroids" analytics. To be safe you probably want to allow 2-3 hours to run the sync. 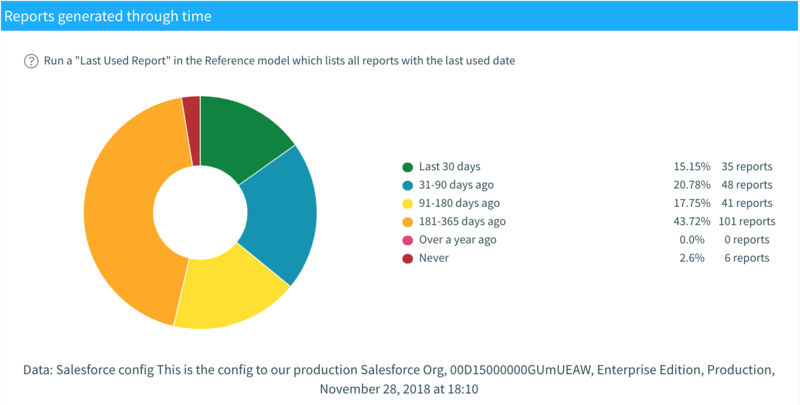 Often a sync from a Sandbox takes slightly longer as Salesforce prioritizes Production API calls. Once you have run the sync and you have had a chance to look through the analytics, you can invite the Admin into the Space as a viewer and then walk them through their Org. How many times have you started a project where the client claimed that their Org had had very little customization? When you start digging a little deeper into Setup you find a ton of custom objects with undocumented process builder workflows and validation rules. Now you have a difficult conversation with the client on Day 2 of the project about scope, cost and delivery date. walked away from the project. 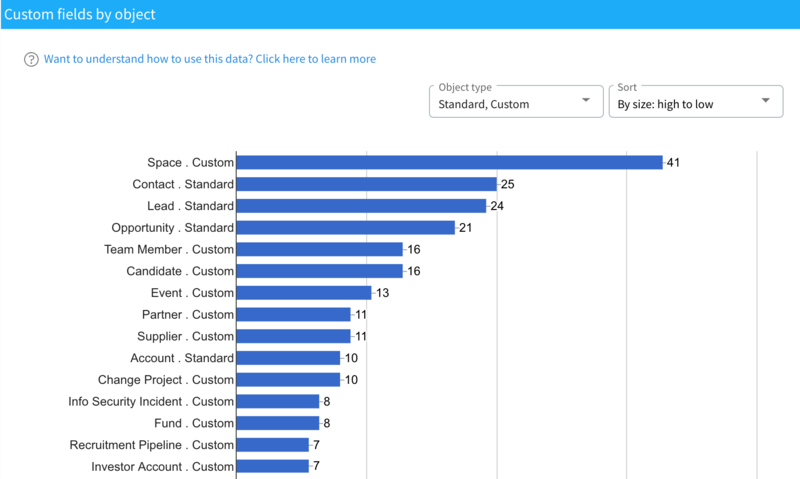 The Org Model and Org Analytics give you these insights for free using the 14 day trial. "But our client won't let us run this on the Org"
Really? You are about to start a deep and meaningful relationship with them. It takes so little time to set up and run the Org Model sync, that this is a poor excuse. So what is the real issue? Perhaps it is security. The sync doesn't look at any data - it simple syncs the Org metadata. Here is the Elements Data Security and Compliance document. Perhaps they are scared of their Org and don't want to see the results. What is more likely is that they've not heard of Elements Catalyst. In which case use it as differentiator to win the work. You can use the positive reviews on the AppExchange to give them confidence. Which leads to the next section. Selling the benefits of using Elements Catalyst on the project. It seems obvious that clients need a well documented Org for it to be easy to maintain and agile. But often you client management not aware of how easy it is to lose control. The power of “clicks not code” and speed of development means that documentation lags development and often never catches up. Sometimes it is assumed that Salesforce documents itself. Performance, usability and limits: eventually the customizations loaded on top of existing customizations have a technical impact; pages are slow to load, usability goes through the floor, you hit system limits, app start to fail. Lost productivity due to delays to Lightning upgrade due to the time required to do the analysis. Analysis work and testing required before implementing any new change. Emergency rework required when changes that are made inadvertently break the Org / affect other areas of the business. Also factor in the impact on the business. Effort to identify fields that need to be deleted to avoid hitting limits. Cost to upgrade to next Salesforce tier to raise field limits. Wasted work building new customization because existing customizations that could have been used are too complex to understand. Clients want to be sure you have considered the options. You don’t have to use the paid version of Elements. Below we give you alternatives. You will still need to build a case for the effort it takes to run a clean-up exercise and document your Org from an operational perspective. Let’s consider each of the HOW, WHAT, WHY in turn and look at the options. Then we'll look the power at of the combination of the 3 elements; the ability to link HOW, WHAT and WHY. Which is why it is called Catalyst!! You could use a free Elements mapping, whiteboard, Powerpoint, Visio, Lucidchart, Draw.io. The key is keeping it simple. What are the costs of editor and viewers? How will you manage version control and access rights? Do the tools help you engage end users to rapidly get shared understanding? How are you going to govern and manage the content going forward - keeping it up to date, reflect change so that people trust this is still correct and relevant to your operational reality? There are utilities that can export your Org into a spreadsheet. 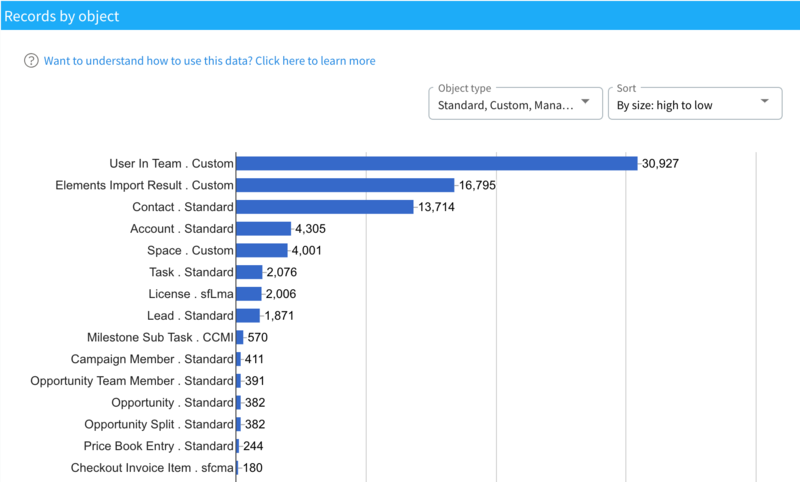 You could even use the free Elements trial and then run a report to export the Org Model. That gets you the metadata. Then you need to do the analysis. And keep it up to date. Some of the utilities are free because they are side projects run by Admins. There are some commercially available utilities. Elements is a combination of many of these utilities delivered at enterprise scale with a roadmap of cool new features requested by users. How will you keep the various spreadsheets up to date as the Org is constantly changing? Which Org do you export - Production or Sandbox? How can you keep them aligned? Much of the analysis will need to be performed by discrete utilities and the results combined. What level of support, what is the development roadmap and financial strength of the these utilities, if you are basing your documentation strategy on them? 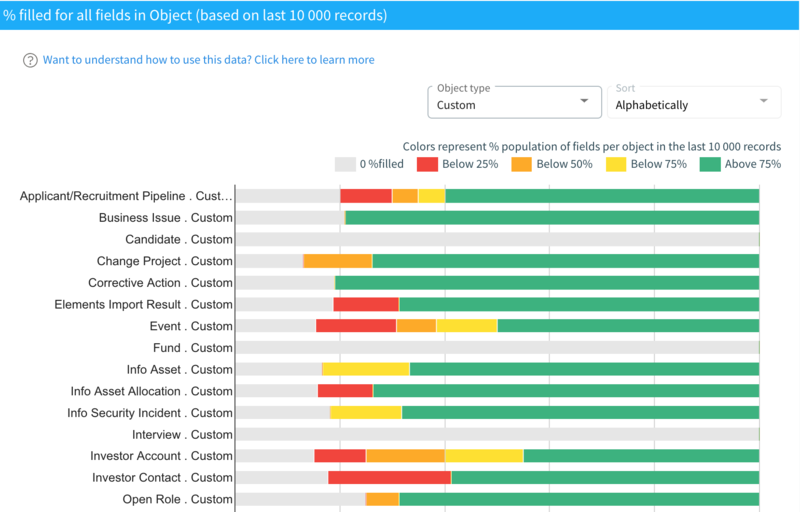 Spreadsheets, wikis and custom objects in Salesforce are the most commonly recommended approaches for creating documentation, for those that have not yet discovered Elements. How will you keep the spreadsheet/wiki up to date as the Org is constantly changing? How do you know when new things have been added to your Org? How do you link the documentation back to items configured in the Org, and which Org - Production or Sandbox? How do you encourage collaboration so that you highlight potential conflicts? 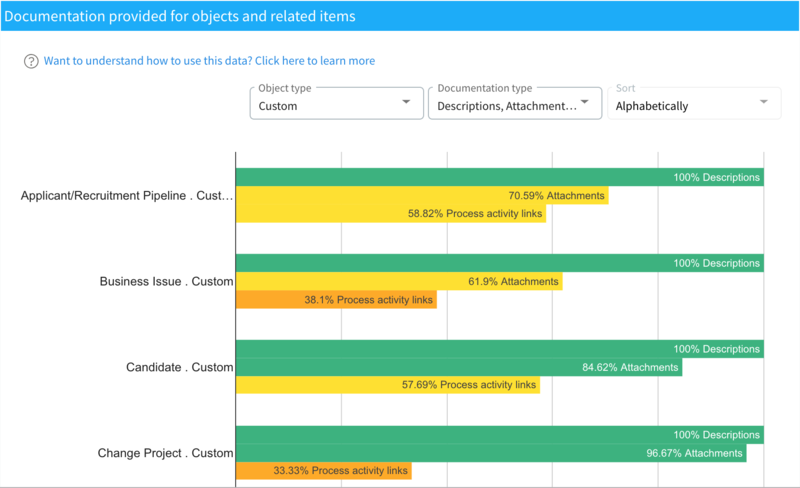 The ability to see line of sight from business requirements through to what was configured in Salesforce and why is very valuable. Therefore, there is a value for having the HOW, WHAT and WHY all delivered in a single view supported by powerful analytics. This dramatically reduces the analysis effort and risk associated with clean up and implementing changes. Sitting here, it is impossible to estimate the time taken to document or run a clean up project. It depends on the complexity of your Org. The 14 day trial is intended to enable you to get some really great insights into your Org to help up you create those estimates. Even those will be a bit of a leap of faith. I suggest the first project you that choose is small and tight in scope and offers the opportunity for some really quick wins. That way you can get senior executive support, prove the value of the work you are doing, and build a case for further work. Alternatively, align the documentation approach to an existing, well funded project - such as Lightning upgrade. There are benefits for the client, but also for you as the consultants. they get an Org - or at least the app you are developing - documented so that they can maintain it. THIS IS HUGE. the documentation can also be delivered as training material, increasing user adoption. Now you've won the work, the next modules focus on delivering project. 1. What is the greatest value of documentation?